Attaché Go Set (#461) - This Attache Go Set is made of oak wood and comes complete with stones. 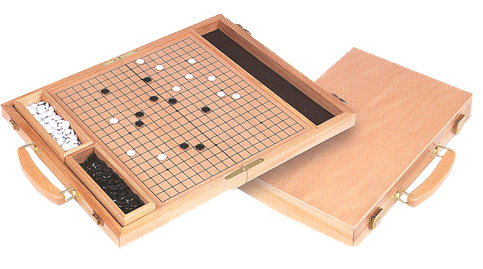 Convenient trays are provided for storing the stones intact when the Go Set case is closed. The attache case has solid brass hardware and measures 14½" x 9¼" closed.